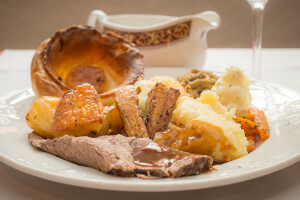 A delicious Sunday carvery with fresh seasonal vegetables and locally produced joints of meat, served in our restaurant. There is a choice of Roast Beef and Yorkshire Pudding or Pork with sage and onion stuffing, freshly prepared vegetables, roast , mashed and baby new potatoes all topped off with the chef’s succulent gravy. * Vegetarian options are available on request. For Starters try our fresh homemade soup made from wholesome ingredients and served with a crusty roll and butter or a Goats Cheese Tart topped with red onion marmalade or Garlic Mushrooms. 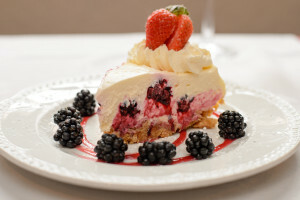 For Dessert choose from a selection of home made puddings specially made by the Plough Inn chef. 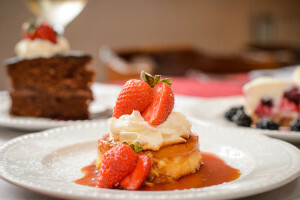 All desserts can be served with either custard, cream or ice cream. 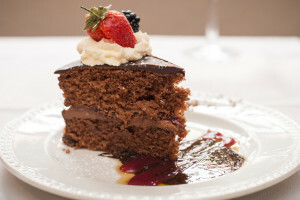 A full selection of real ales and fine wines are available in the Lounge and Public bars.